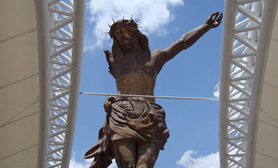 Aguascalientes is just one of over 60 official online guides covering the whole of Mexico. If you´re planning a trip to Mexico and would like discover our fabulous nation before visiting or, if you´d like to visit a specific place in Mexico then you´ve come to the right place. Aguascalientes is the capital of the state of Aguascalientes and is its most populous city, with a metropolitan population of +1,000,000. 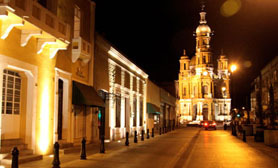 Aguascalientes is the municipal seat for the municipality of the same name and, the Aguascalientes includes the metropolitan area which includes the municipality of Jesus María y San Francisco de los Romo. Located in North-Central Mexico, It is located on the banks of the Río Aguascalientes, 1880 meters above sea level. 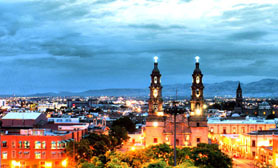 Aguascalientes is one of Mexico´s most popular places, visited by millions of people over the last decade. When you travel to Aguascalientes you may wish to check out the Aguascalientes hotels we have available or maybe you´d like to rent a car in Aguascalientes? We also offer extensive day trips in Aguascalientes. This unique place has simply amazing. 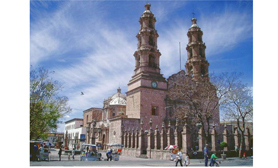 We´ve also compiled a list of Travel books on Aguascalientes Mexico. Aguascalientes was a Chichimeca Indian territory. The city was founded on 22 October 1575 by Juan de Montoro as a postal service rest stop between the city of Zacatecas and Mexico City. Although its founders did not envision it becoming a major city, it became the capital of the newly formed state of the same name when its territory separated from the adjacent state of Zacatecas in 1835. It later grew into a strategic link between Mexico City and the mines of Zacatecas, while prosperous agriculture and ranching helped feed Spain’s emerging New World cities. A lesser known fact is that more than two thirds of the local population of Aguascalientes is of European descent, mostly Spanish and French with settlements of French troops in the Valley of Huejucar during the 2nd Mexican Empire. Aguascalientes has repeatedly been recognized as one of the cities with the best quality of life in Latin America. Its unparalleled services and hotel industry turn it into one of the most important centers in Mexico with numerous options of entertainment, gastronomy, leisure activities, arts and recreation. 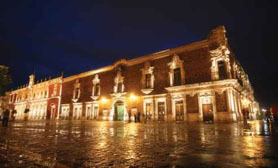 Whether you are visiting Aguascalientes in Mexico for business, pleasure or both, we´re sure that Aguascalientes will meet all of your expectations and that the people of Aguascalientes will make you feel welcome while sampling some of the unique cuisine on offer in the Aguascalientes Restaurant districts. Nowadays, Aguascalientes is a vigorous service city that is experiencing an ongoing social, economic, and aesthetic revitalization process. It is also the cleanest city in Latin America along with the fact that, Its strategic location and excellent infrastructure, have made it a regional hub and a popular location for international headquarters. Aguascalientes is home to the José Guadalupe Posada museum and the magnificent Church of Our Lady of Guadalupe. The city was born out of four original neighborhoods. Guadalupe was where most travelers stayed on their way to Mexico City, and has some of the most beautiful cemeteries in Mexico. Triana, named after the locality in Seville, Spain has the most Spanish and Arab influence in its architecture, and is the oldest neighborhood in the city. Also, La Salud was intended to be a great convent complex, but it was never completed; only the church, cemetery and square remain lined in colonial-style stone city streets. The San Marcos district is where the fabled San Marcos Fair has been celebrated for hundreds of years, and is noteworthy for its neoclassical garden and baroque church. City planning has made the city special and popular with retirees, precisely planned peripheral expressways, as well as its first class avenues and lanes, are surrounded with industrial parks that employ thousands of people. Aguascalientes today identifies itself as at the confluence of tradition and industry. 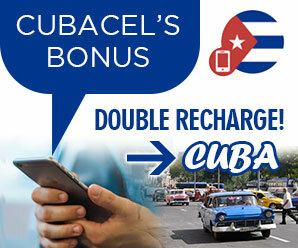 Its preserved colonial center testifies to its rich architectural heritage and cultural vision. Where does the name Aguascalientes originate? The name Aguascalientes originates from the Spanish words, “aguas calientes” meaning “hot waters,” part of the original name of “Villa de Nuestra Señora de la Asunción de las Aguas Calientes” (Village of our Lady of Assumption of the Hot Waters). When Aguascalientes was first settled by Juan de Montoro and 12 families, it was given this name for its abundance of hot springs. The thermal features are still extremely popular in the city’s numerous spas and even utilized for domestic use. Oddly, people from Aguascalientes are known as “hydrothermal” people. Aguascalientes is just one of the websites Travelucion operates and is part of over 800 travel websites for over 130 countries worldwide. Our Mexico Collection of 70+ websites covers Mexican States, Cities and towns, along with 10 Mexico special interest websites. If you are traveling to Mexico, our websites will assist you in finding the right Mexican destination to suite your tastes and provide you with invaluable information before traveling to Mexico. Aguas Calientes Another Website From Travelucion Yes Domains!